In cities that suffer traffic congestion, roads are often in need of better planning. But let’s face it, even the worst city planners don’t tend to paint road markings telling drivers to head directly into railings. Britain once led the way in cycling infrastructure but now seems to be more famous for its thriving comedy-transport-planning department. 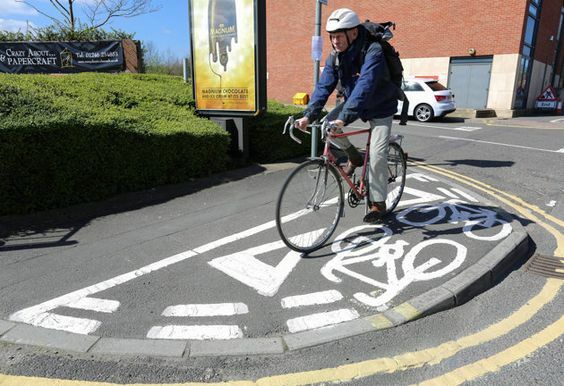 The small market town of Chesterfield, England, has produced a bike lane of such astounding stupidity that people cycle from miles around just to take photos. 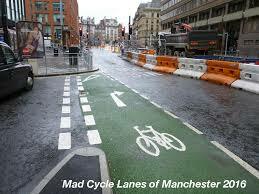 If you travel even further north, you arrive in Manchester. Many people incorrectly believe the city earned the nickname “Madchester” in the 90s thanks to its hedonistic club scene. I believe the reality is that cycle lanes that invite you to race across the face of a junction before making a right turn directly into traffic were the real reason the city earned that sobriquet. The UK faces stiff competition from the USA when it comes to frustrating road users. 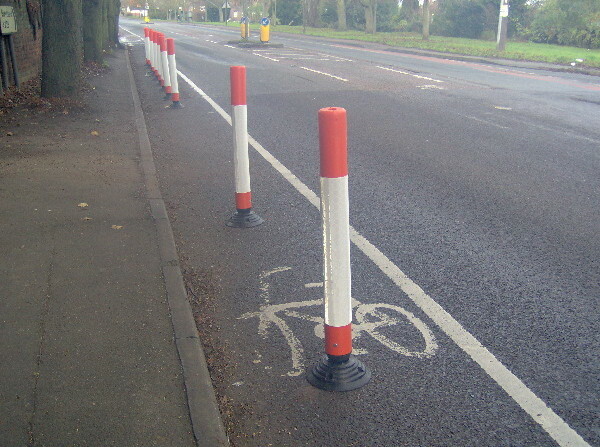 The Department of Transport don’t believe the presence of a cycle lane is sufficient warning for motorists to be aware there may be cyclists about, so they invented an elegant solution. 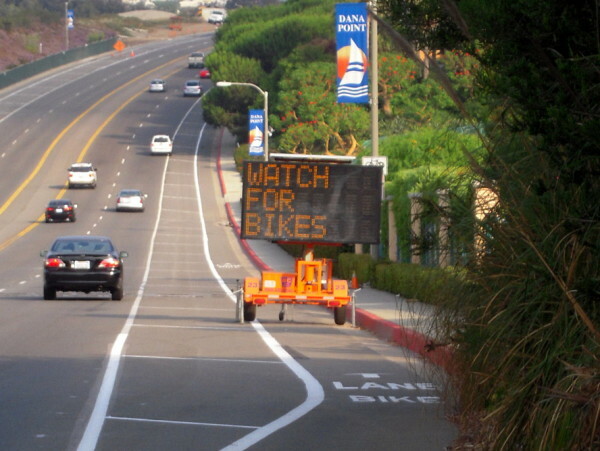 But the UK authorities wouldn’t dream of patronising motorists this way – preferring instead to patronise cyclists directly. Behold what can only be described as an infrastructure Inception. 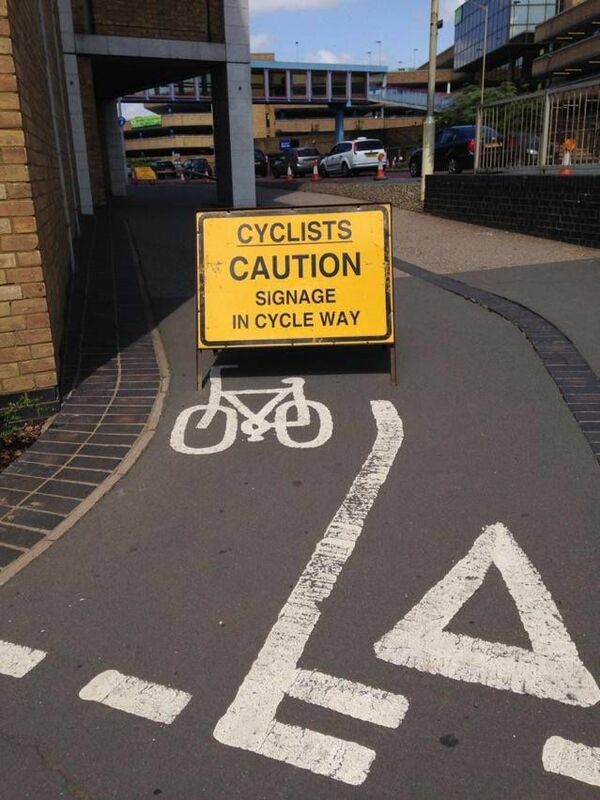 Only in England could a cyclist be warned that a sign is blocking their route by the sign that is blocking their route. Please leave us a comment if you can figure out the solution to this problem. Exercise bikes may keep you fit but only cycling in the real world can challenge your skills. 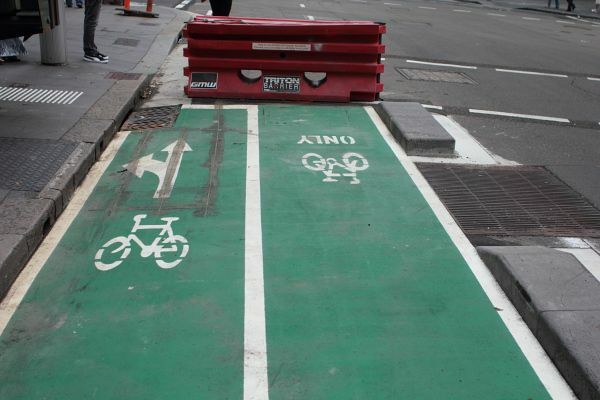 And what better way to keep you on your toes than by giving you the choice between bunny-hopping 90 degrees into a pedestrian walkway – or bunny-hopping over a 2’ barricade directly into traffic. You can use this last cycle lane to cross-train for that skiing holiday, or maybe to practice weaving through traffic like some New York bike messenger en route to his last delivery of the day. Please share your favourites in the comments below!